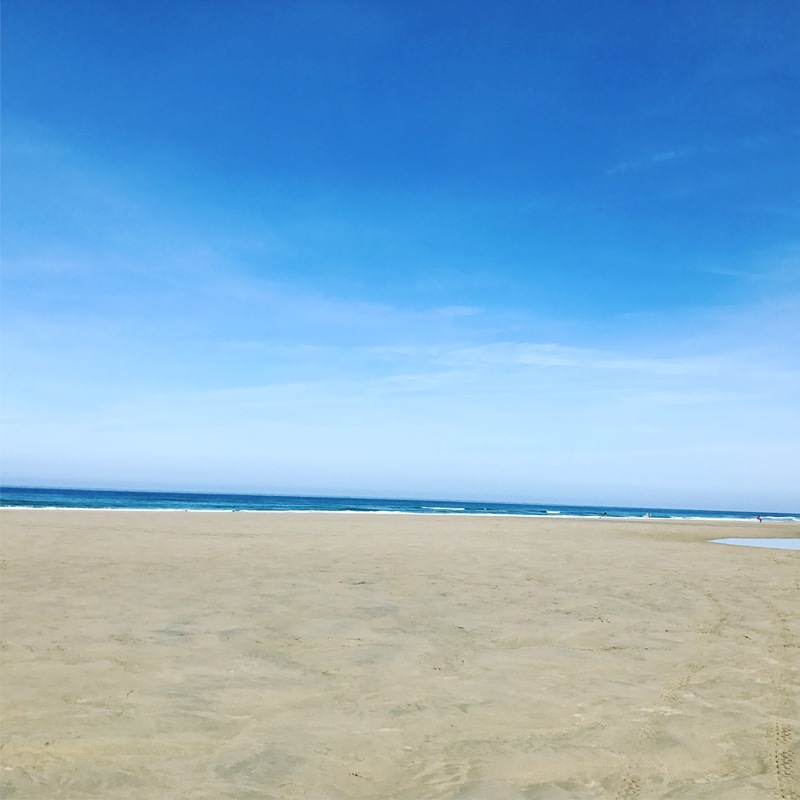 With both beaches being so lovely you can start at either end and then when you have finished you are at the beach for the rest of the day. Always good in summer when it’s a cloudy/chilly start and you want the weather to brighten up. 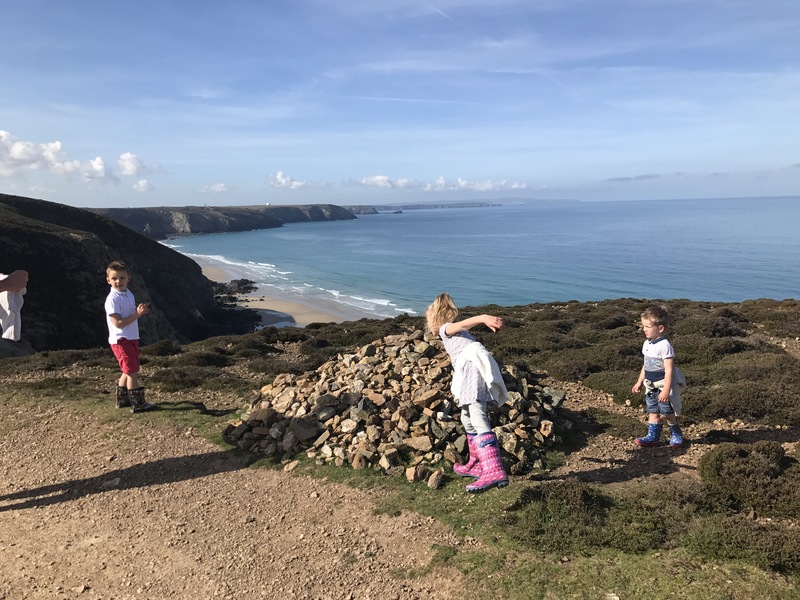 Parking at Chapel Porth is very limited as the car park is small but it’s National Trust so free to members. 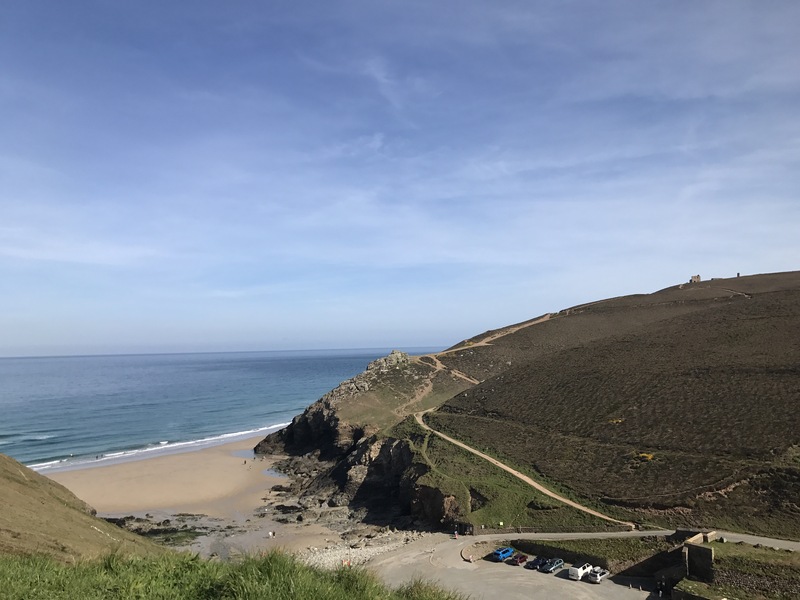 I think there is a field you can park in at the top but it’s such a narrow walk down I would prefer to start in Porthtowan if I couldn’t get a space here. Portowan has lots of parking, we often park on the village hall. There are only a few spots there but if you get it early enough it’s cheaper than the big car park. 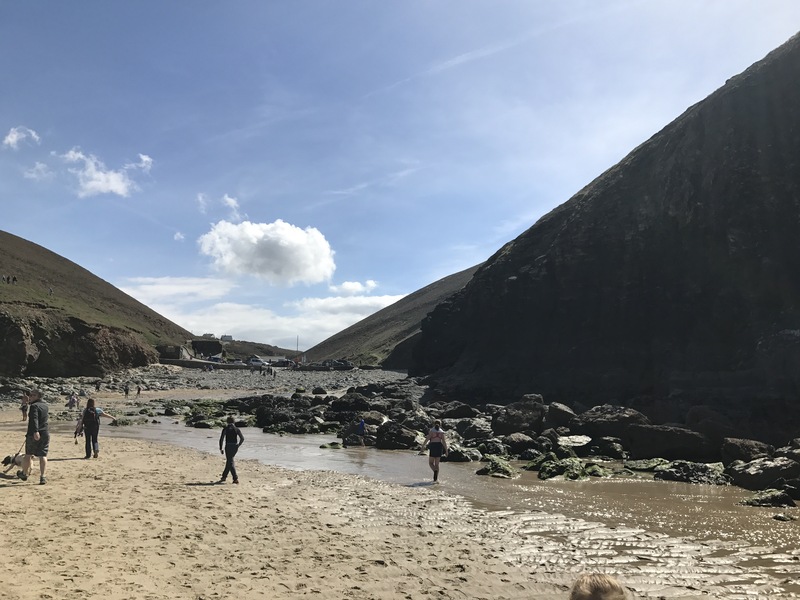 If you want to do the beach part of the walk you need to get your timings right as you can only do it for about an hour before and after low tide. 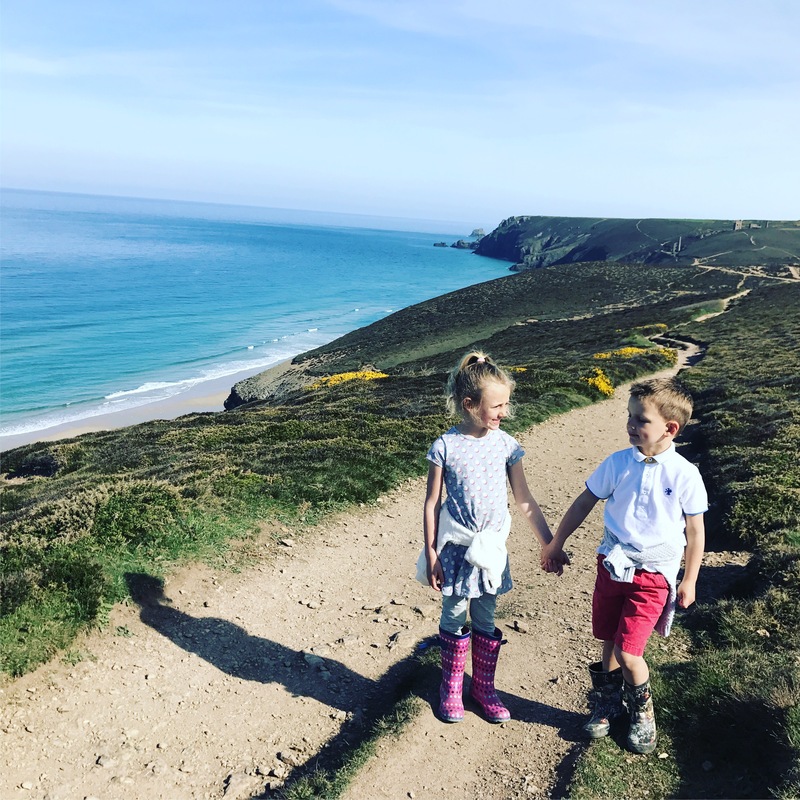 We always used to walk over the top in both directions not knowing about the beach but it makes it easier for the kids doing some on the beach. It’s a 3 mile round trip walk. We have done it with a triple buggy at one point but that was just silly! 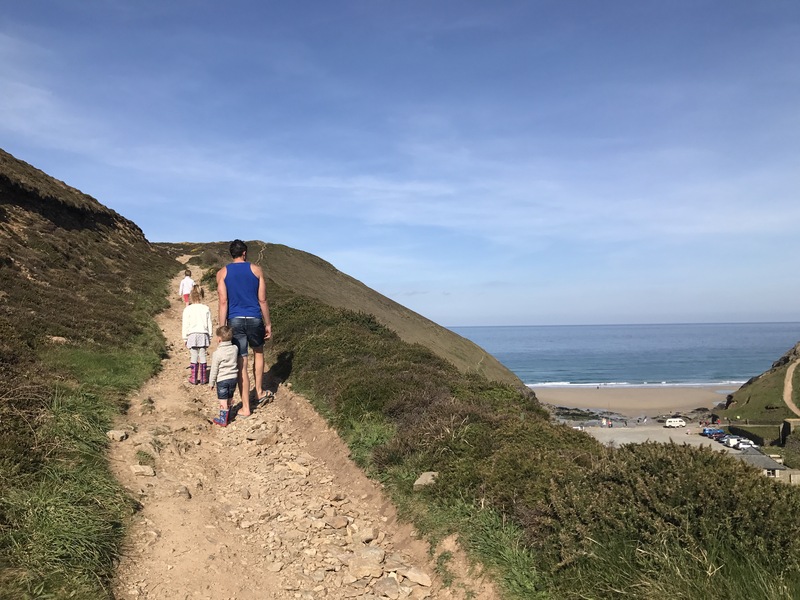 The paths are narrow and loads of rocks…but we never let it stop us and Steffan is strong so he would just lift the buggy with all the kids in on his own if needs be! It’s much easier to do it with the kids walking and Xavier managed it there and back when he was 2. It is steep at either end to begin with but it’s only til you get to the top then the rest is flat. The views on this walk are fantastic. Not only do you have the stunning coastline but there is also tin mines and gorgeous countryside. We have seen them filming Poldark a few times at the tin mines. Along the way there are a few piles of rocks so everytime the kids add a new one to the pile. They see the walk as an adventure and actually enjoy the walk. There are only 2 places along the way where the path gets close to the edge but we tend to all hold hands the whole way anyway. It’s one of the reasons I love this walk, we all walk so close together and chat/sing the whole way. At Porthtowan the beach is sandy and there is often good surf so in the summer this is a good one to have started at as you then have the whole day here. You are better starting here too if it’s a high tide as Chapel Porth has practically no beach when the water is in. 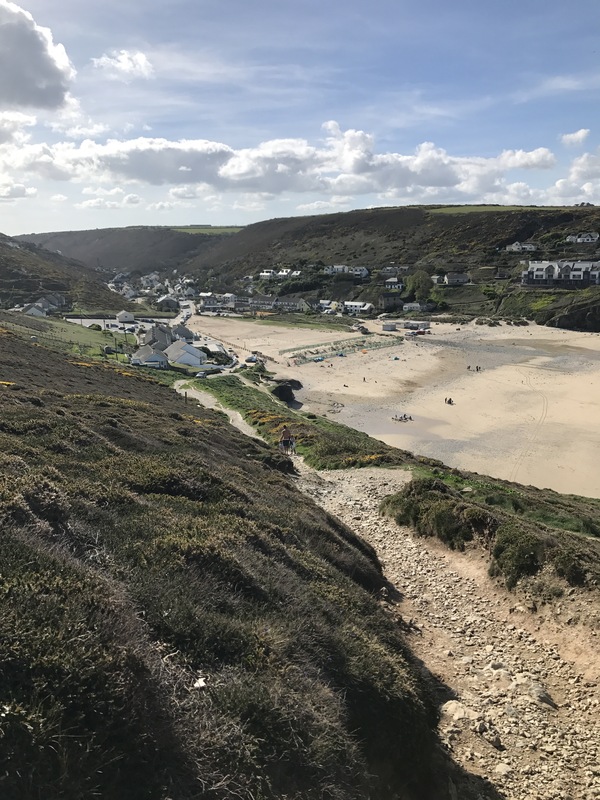 There are a few places to eat and drink in Porthtowan but we like Blue Bar as it is right on the front and open all year round. It’s good value for both food and drinks and you can sit in the window in winter to feel like you are still outside. The ice cream shop has loads of flavours to chose from and is a favourite with the kids. 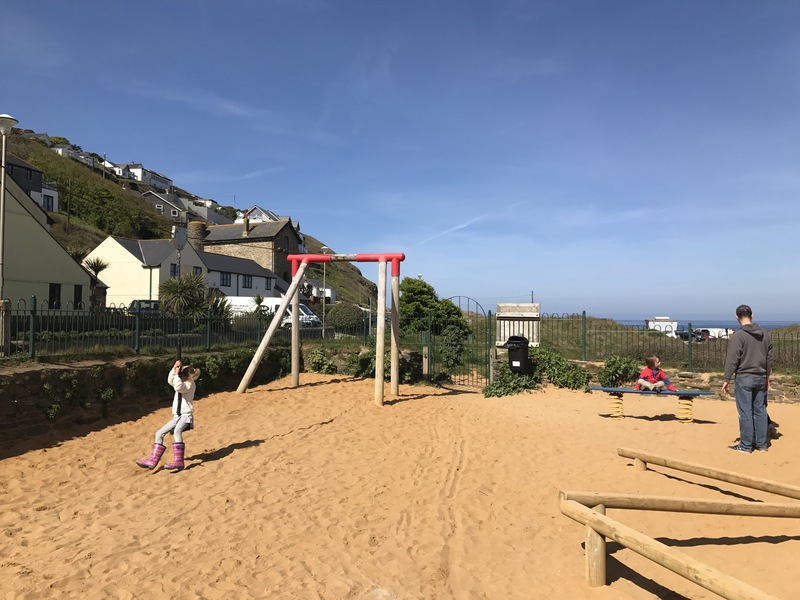 There is a playground with a zip wire which we play at for a little while before heading back. 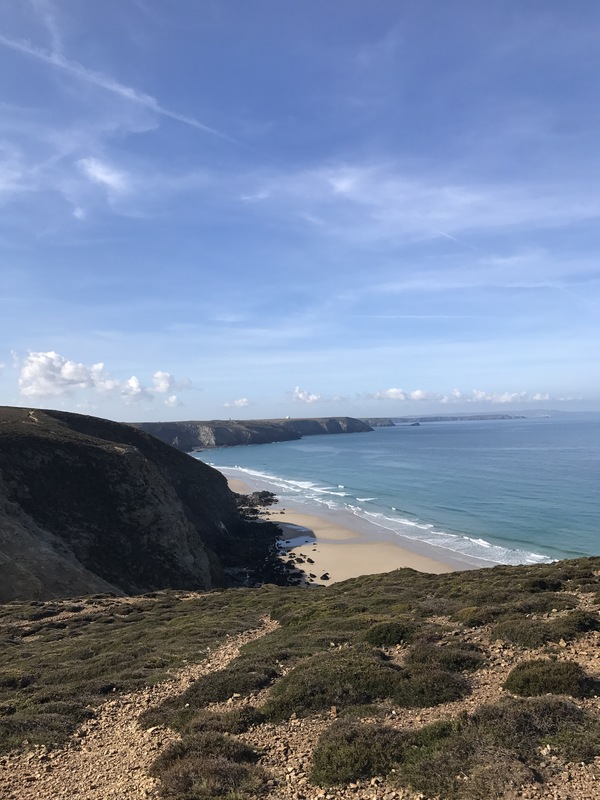 The walk along the beach is very similar to the beach at Bedruthan Steps as it is also a beach that is only accessible at certain times of the day. With the high cliffs behind it shadowing over it is breathtaking. The sun was out for us today and it was beautiful. Miles of sand with barely anyone around. 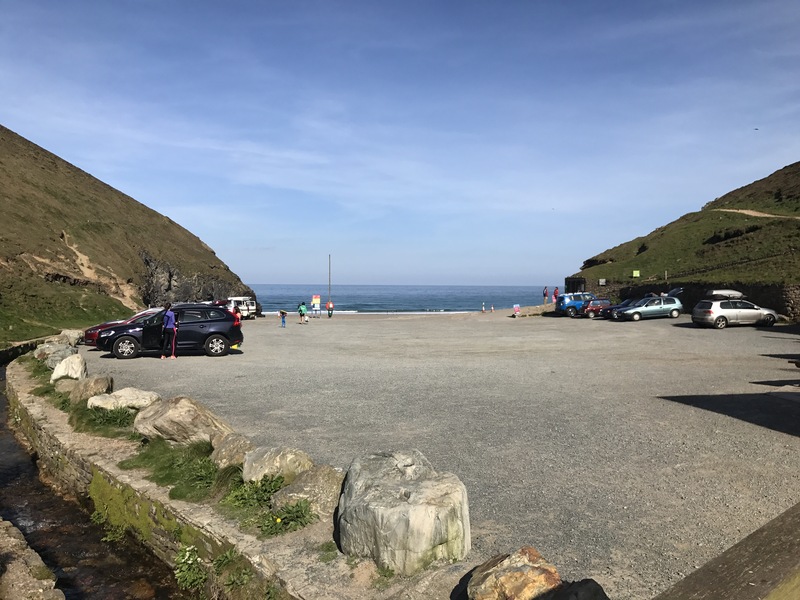 Back at Chapel Porth there is a small cafe on the car park that does great food and it is famous for its ice creams. They do Hedgehogs which are ice creams with clotted cream on top then rolled in toasted hazelnuts. For kids they do Happy Faces which are ice creams with sweets on to make the faces.